Lolz... Is this fact about women true??? 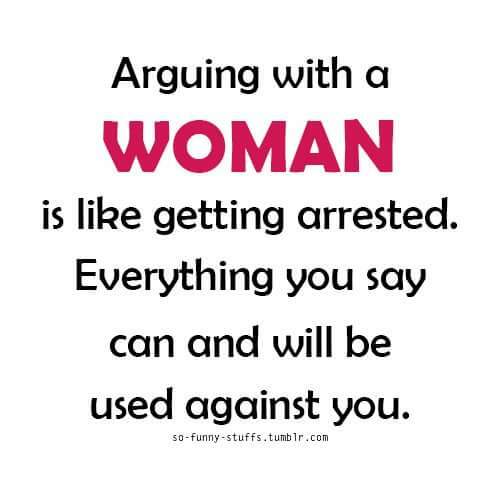 Lolz, is it true that arguing with a woman is like getting arrested and all you say would be used against you in a woman's court of judgments?.. what's your opinion? Let me know in the comment box below.